The album begins with “Astral Voices,” a hauntingly beautiful piece that includes ethereal female voices (no lyrics). Even though the voices are soothing, there is a feeling of isolation and perhaps of being lost in the darkness. “In Search Of The Lost Star” starts out with a brief horn solo before becoming more ambient. The horn repeats its melody later in the piece, maintaining a humanistic element. Very relaxed and peaceful, this track suggests journeying through space at a leisurely speed and enjoying the ride. “39.5 Light Years (Trappist-1)” refers to “a dwarf star that is slightly larger but much more massive than the planet Jupiter, located 39.5 light-years from the Sun in The Constellation Aquarius” (quoted from the liner notes of the CD). Voices and chimes contribute to the mysterious quality of the music as well as the feelings of a very dark, chilly vastness. “Stars of Ice” makes effective use of glass wind chimes to simulate the magical sparkle of ice as beams of light dance off of it. Deep rumbling bass sounds are a fascinating contrast to the light, almost brittle chimes. The title track is a bit more rhythmic with a somewhat faster tempo, making it feel brighter and more purposeful. Instead of drifting freely in space, it feels like there is more of a goal or destination. The deep bass vibrations continue and the horn returns, perhaps heralding a triumph of sorts. The last track is the longest and titled “Interplanetary Panspermia,” which is “the hypothesis that life exists throughout the Universe, distributed by meteoroids, asteroids, comets, planetoids and also by spacecraft in the form of unintended contamination by microorganisms” (quoted from the liner notes). Moving slowly through space, many of the sounds we hear express that all is not well in the universe. There is an uneasy peace, but some things are out of place, out of balance. This is, of course, my interpretation. 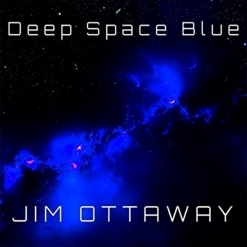 If you like space and ambient music that is wonderfully-engineered with amazing depth and sound quality, be sure to check out Deep Space Blue! 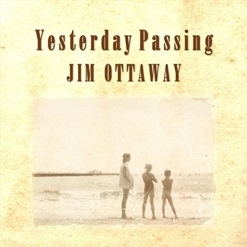 It is available from Amazon, iTunes, and CD Baby.